Quirky Shelving , Made to measure. 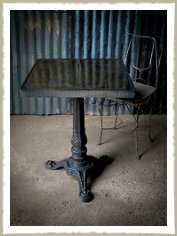 Our tables come in many shapes, sizes and styles bringing together the best reclaimed, vintage, and industrial pieces to combine with Zinc and Oak top finishes. 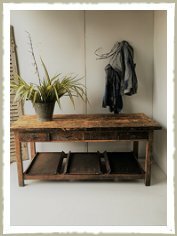 Buy a unique quirky piece of furniture for your home or enquire about our made to measure service for a domestic or commercial interior project. 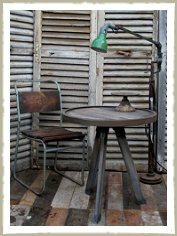 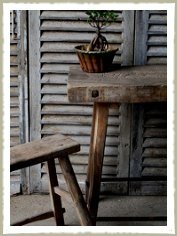 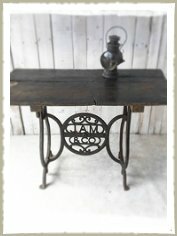 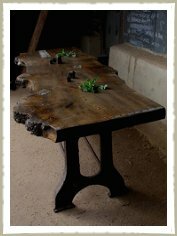 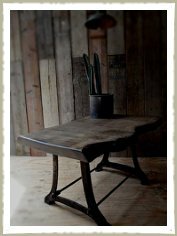 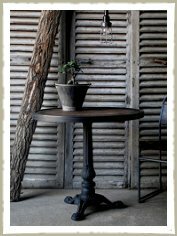 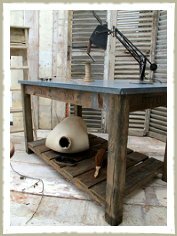 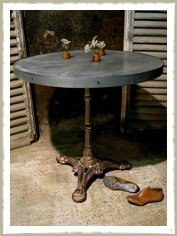 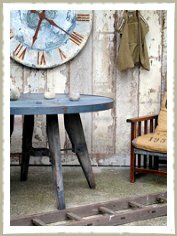 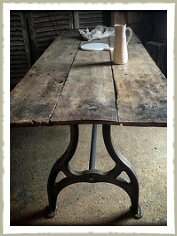 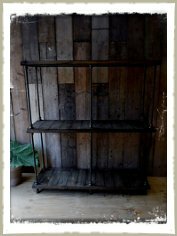 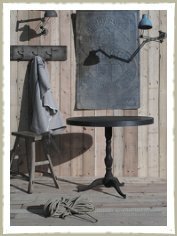 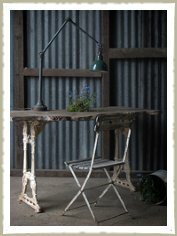 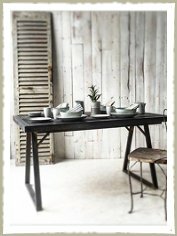 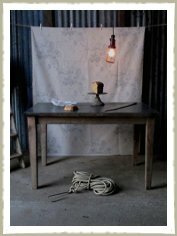 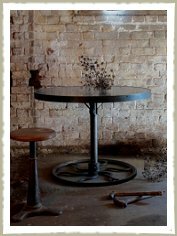 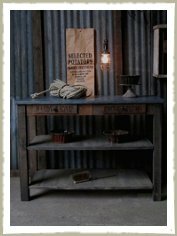 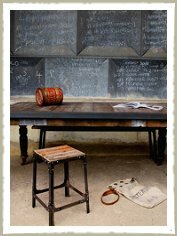 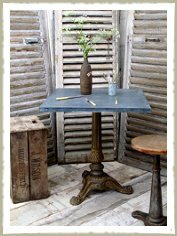 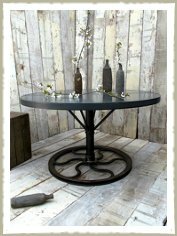 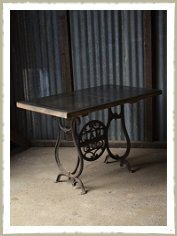 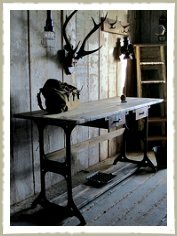 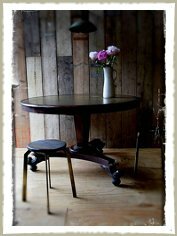 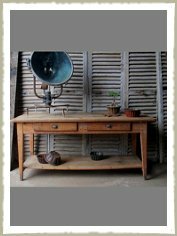 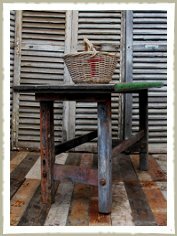 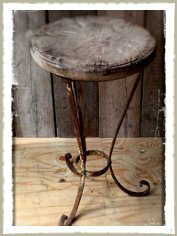 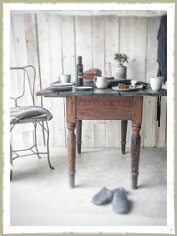 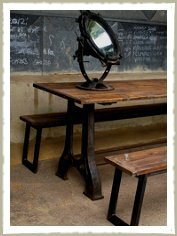 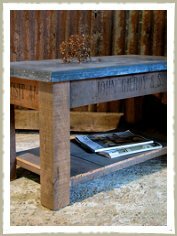 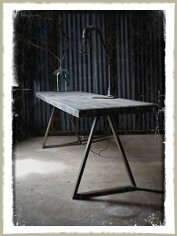 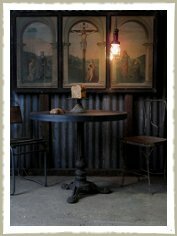 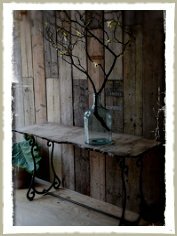 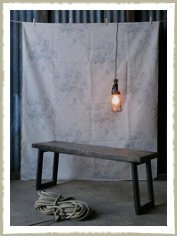 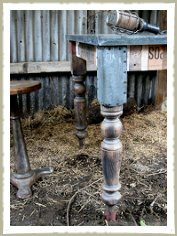 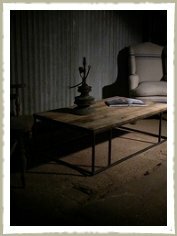 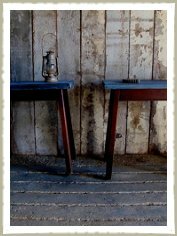 Using antique or vintage cast iron table legs, industrial table bases and our own brass trestles, we make unique and timeless pieces of qualityhand made furniture. 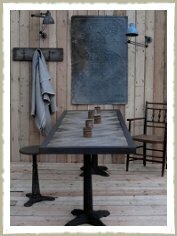 We are zinc and brass specialists, only working with the best materials and using our years of knowledge to produce a quality aged zinc finish. 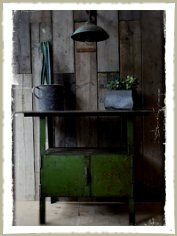 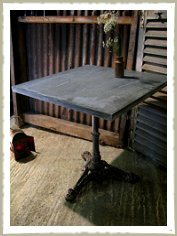 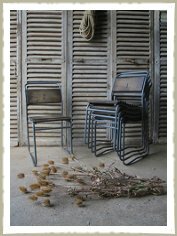 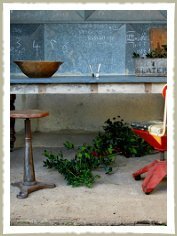 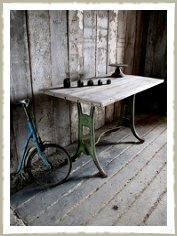 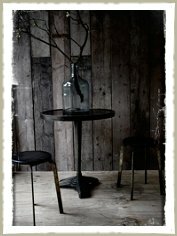 All of our Zinc tables are handmade in the Hertfordshire.